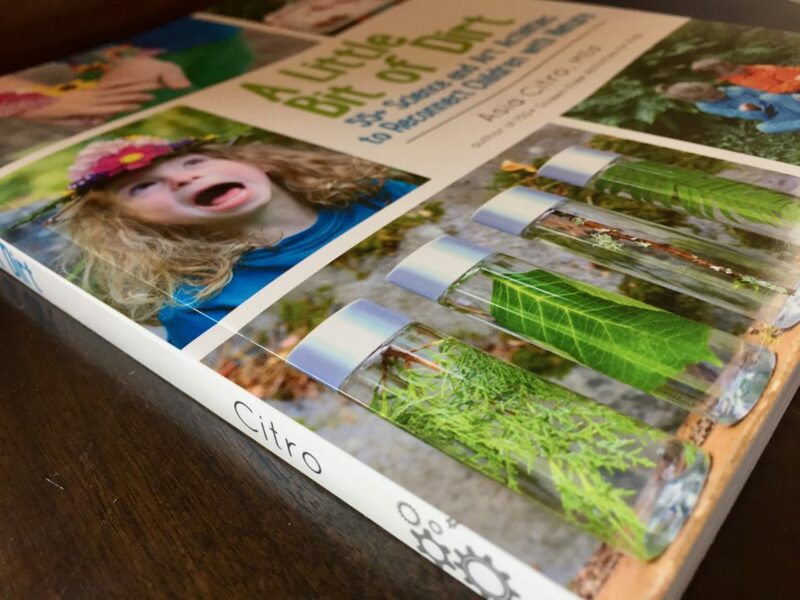 A thoughtfully designed activity book that helps children immerse themselves in nature. 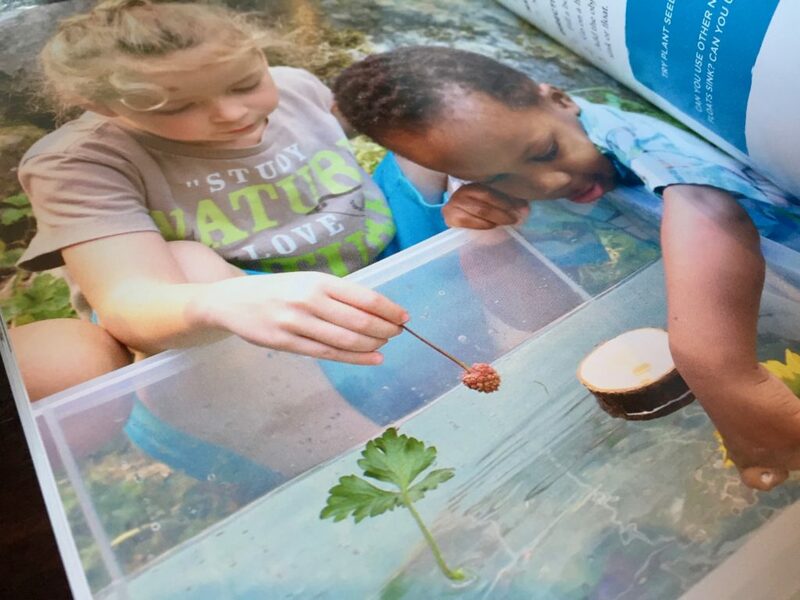 The book’s activities are simple, engaging, and well thought out. They’re designed for children ages 3-10 and can be worked on individually or collaboratively with parents. Whether you help your child with the activities or not, the book is sure to provide countless hours of fun. Nature Weaving: Create and decorate a natural loom using plants and other objects from nature. Seed Bomb Lollipops: Fill balls of paper with seeds, put sticks on the ends of them, and then plant them upside down in the soil. Earthworm Tower: Put earthworms in a plastic bottle and watch them eat leaves and turn them into soil. Nature Boat: Combine nature objects to create a boat that floats. Create Bird Feeders: Build a bird feeder using craft supplies, natural materials, and objects from your recycling bin. 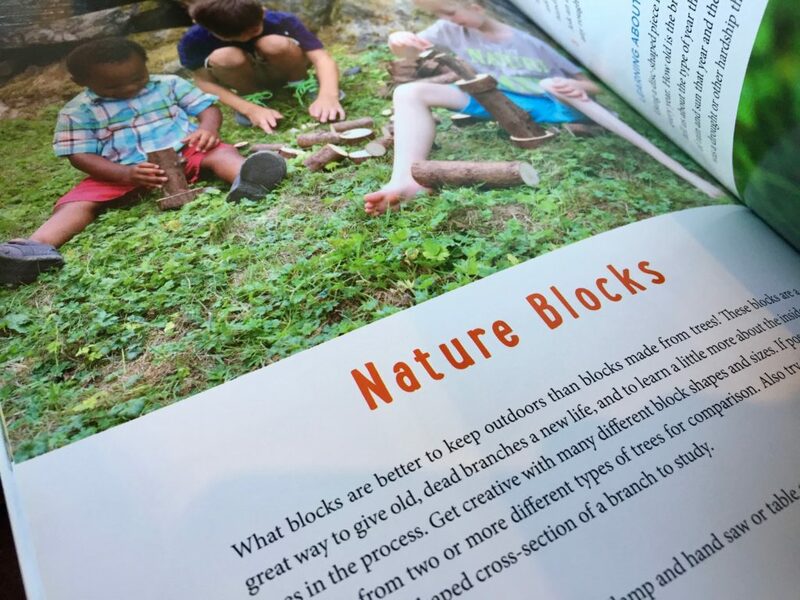 In the introduction, Citro explains why she created the book and shares why she believes there’s never been a better time to get your children outside. As our world becomes more complicated, structured, and technological, we get fewer simple, slow, and calm moments in our days. With school, extracurricular activities, and the lure of our technological devices, it’s easy for outdoor play to fall by the wayside. But outdoor play is a needed balance to our busy modern days. Rather than just providing visual stimulation, as many of our indoor activities tend to do, outdoor play activates all the senses. Outdoor terrain is uneven, which challenges and develops our children’s motor skills in ways that manufactured surfaces can’t. Outdoor environments provide larger spaces for our children to run, skip, and climb — to keep their hearts and muscles strong. Time spent in nature is important to the development of healthy children. Spending time outdoors is important no matter where you live. The book was thoughtfully designed with that in mind. In fact, it can be used by children living in virtually any environment, urban or otherwise. For most of the activities, all readers need is access to a park. 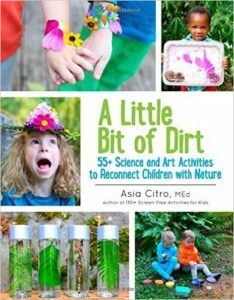 A Little Bit of Dirt is a fantastic collection of activities, but it won’t magically solve all of the problems facing children today. What it will do is give them the nudge they need to get outside and start playing in the dirt. And sometimes, a little nudge is all it takes to help children discover their primal, primitive desire to be outside in our true, original home. 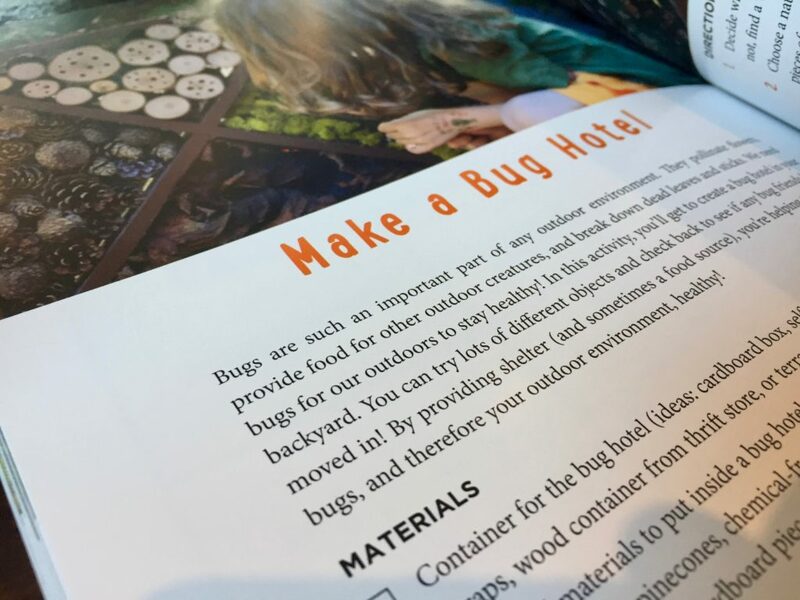 Complement with Fun at Home with Kids, the author’s website full of additional activities for children, and Mossy, a touching children’s story about keeping wild creatures in their native habitat.